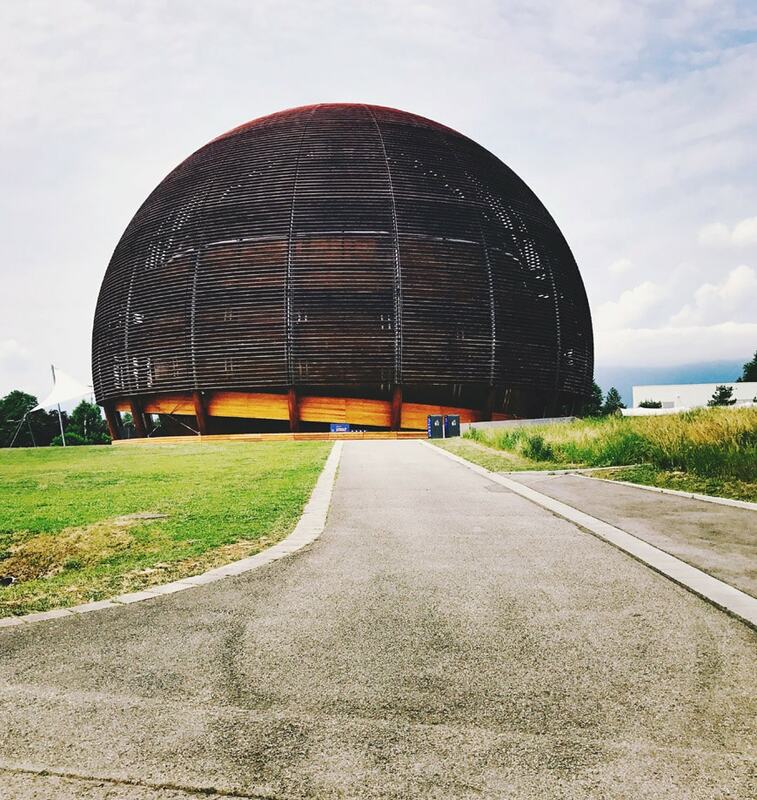 Located at the famous CERN nuclear research center near Geneva, the Globe of Science and Innovation is a very peculiar science museum. 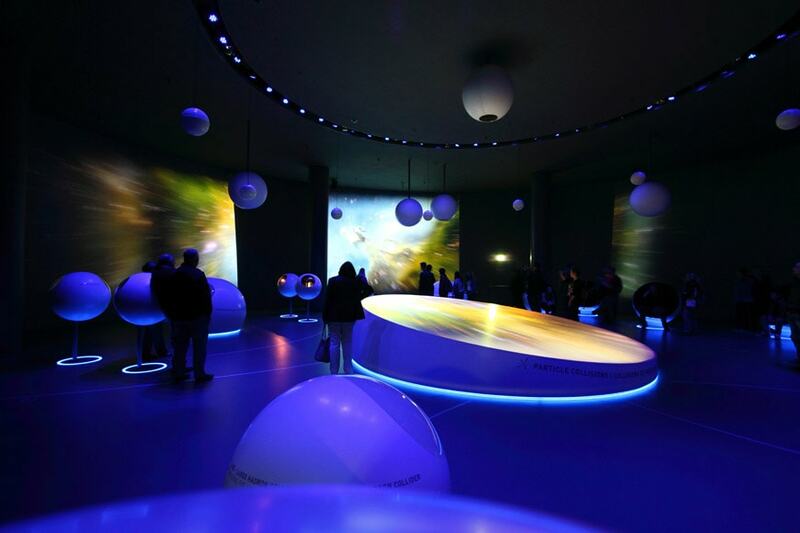 The Globe is aimed to be “a gateway between science, culture, education, and society, promoting the dissemination of scientific information among all types of audience”. Established in 2005, the museum is housed in a hemispheric pavilion, designed by Swiss architects Thomas Büchi and Hervé Dessimoz, which has soon become a city landmark also because of its unconventional, iconic appearance. 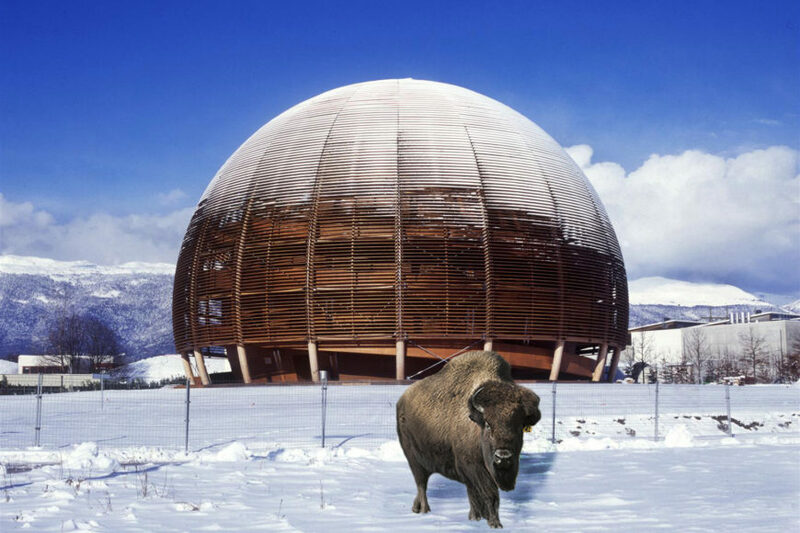 Originally named “Palais de l’Equilibre”, the pavilion was built for the Expo.02 Swiss national exhibition in Neuchâtel in 2002 and moved to the CERN afterward; the cocoon-like volume of the Globe was designed to evoke the Earth’s shape, both formally and conceptually. At the time of its construction, the Globe building was widely regarded as one of the world’s most advanced examples of sustainable architecture. Exterior view of the Globe of Science and Innovation; photo Laura Gilchrist. 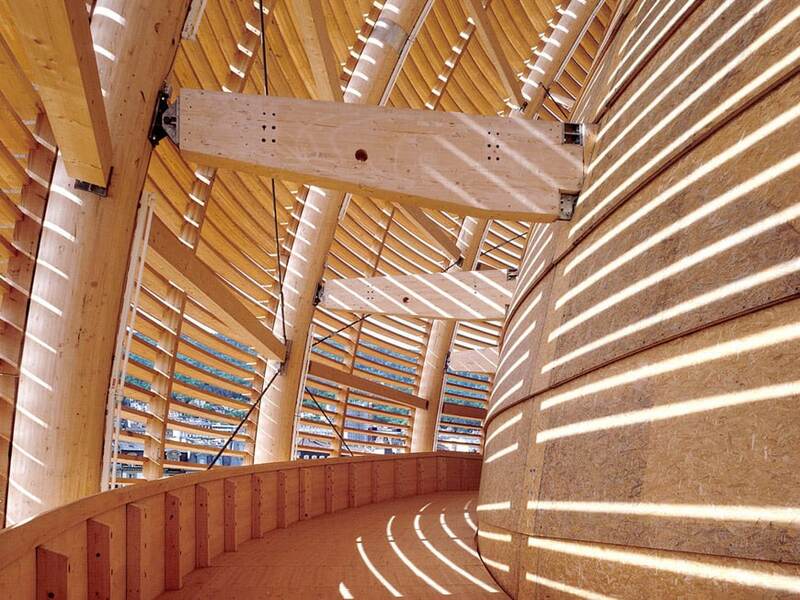 40 meters / 130 feet across, the double-shell dome of the pavilion is almost entirely made of sustainably-sourced timber (Scots pine, Douglas fir, spruce, larch, and Canadian maple) harvested in the Swiss forests. Each of the two hemispheric shells of the dome consists of 18 cylindrical arcs made of glulam timber; the inner shell is clad with laminated timber panels, while the outer on supports a larch-wood brise-soleil. The timber elements which of which the building is mostly made are connected by custom-designed steel brackets and anchoring bolts conceived to facilitate the disassembling and reassembling of the structure, which made possible to move the building from Neuchâtel to Geneva rather easily. 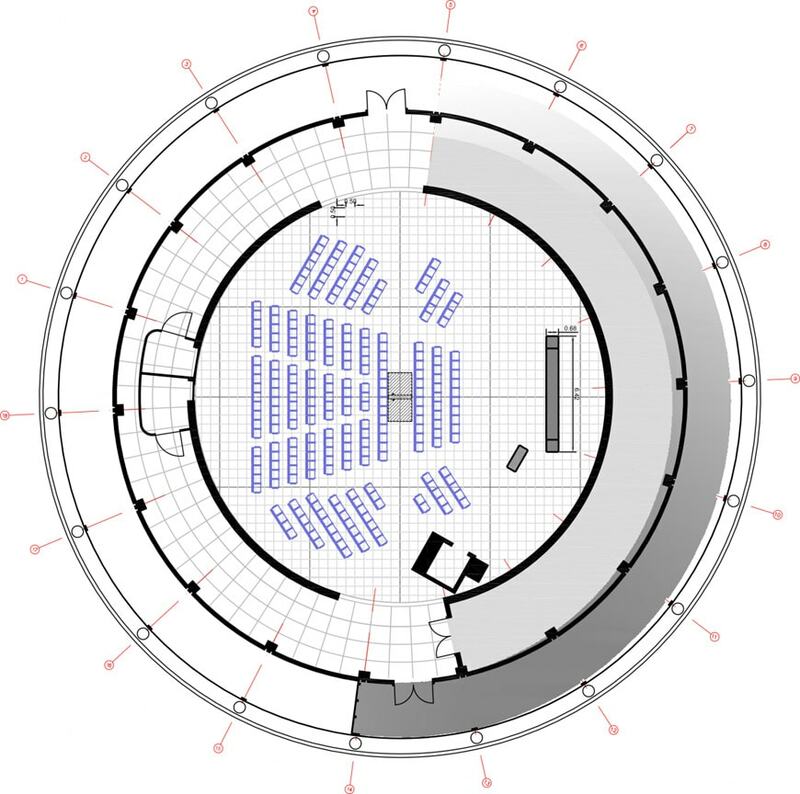 The pavilion has two floors, connected by a long spiral ramp located in the interspace between outer and inner shells; the ground floor houses the permanent exhibition space, while the upper one is used for various activities and special events. A circular skylight, vaguely resembling the famous oculus of the Pantheon in Rome, pours daylight into the multifunctional space on the first floor. 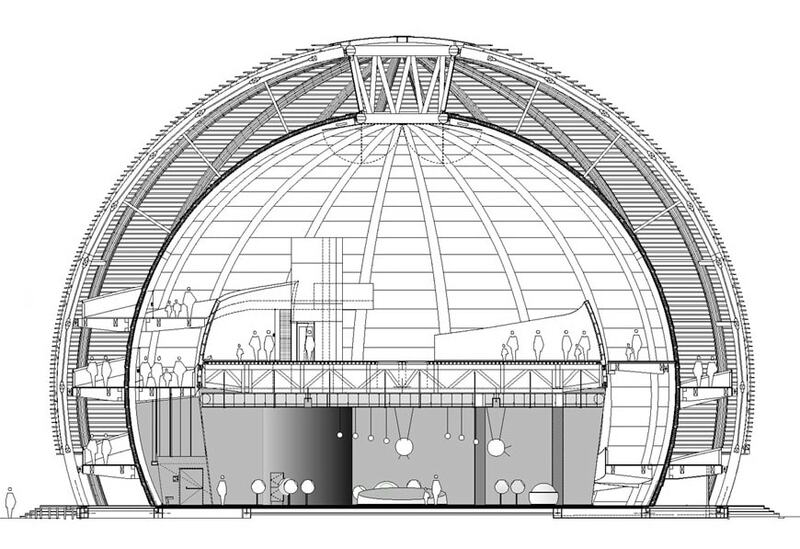 The Globe of Science and Innovation (current layout), cross-section and first-floor plan. The Globe pavilion and the “Wandering the Immeasurable” sculpture by Gayle Hermick. Photo Brigitte Djajasasmita. The interspace between outer and inner domes, and three of the cylindrical timber arches which form the main structure of the pavilion. Photo courtesy of GROUPE H Architecture & Ingénierie SA. View of the pavilion at night; photo Martin Hayhurst Appel. 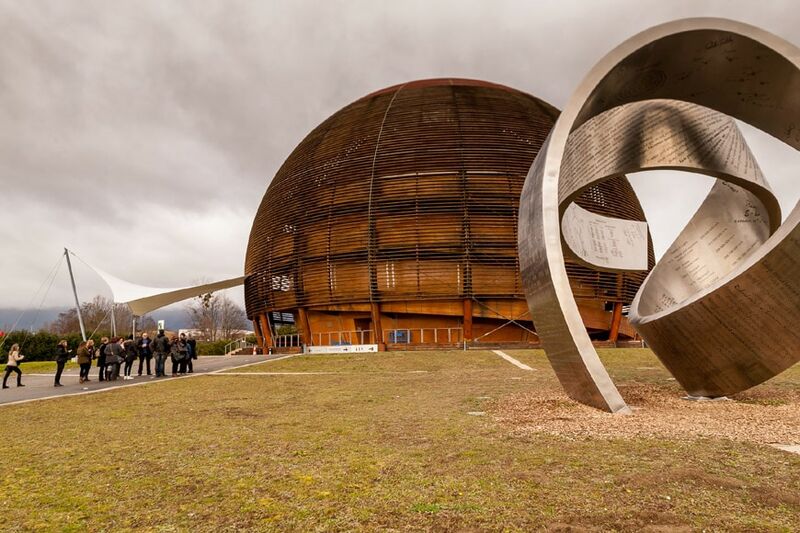 On its ground floor, the Globe of Science and Innovation houses a permanent exhibition focused on nuclear physics, the main research field of CERN. 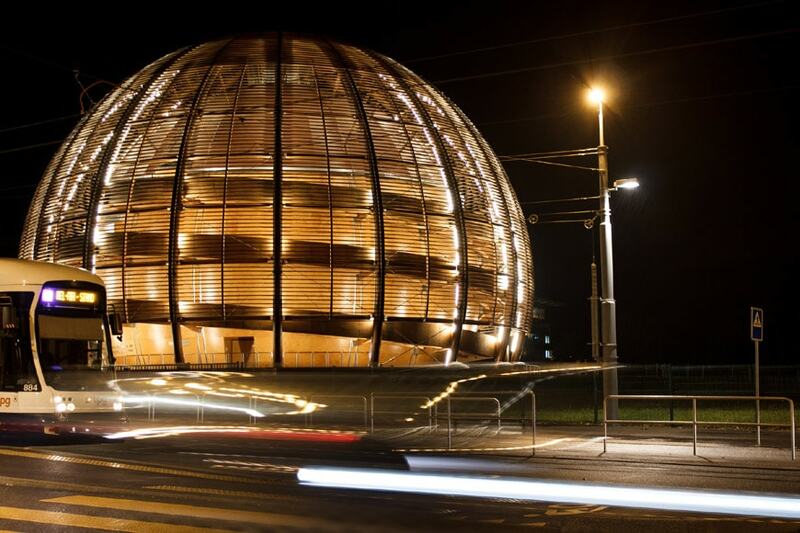 Entitled Universe of Particles, the exhibition is an immersive multimedia experience presenting both the basics of particle physics and the CERN main particle accelerator, the Large Hadron Collider (LHC). 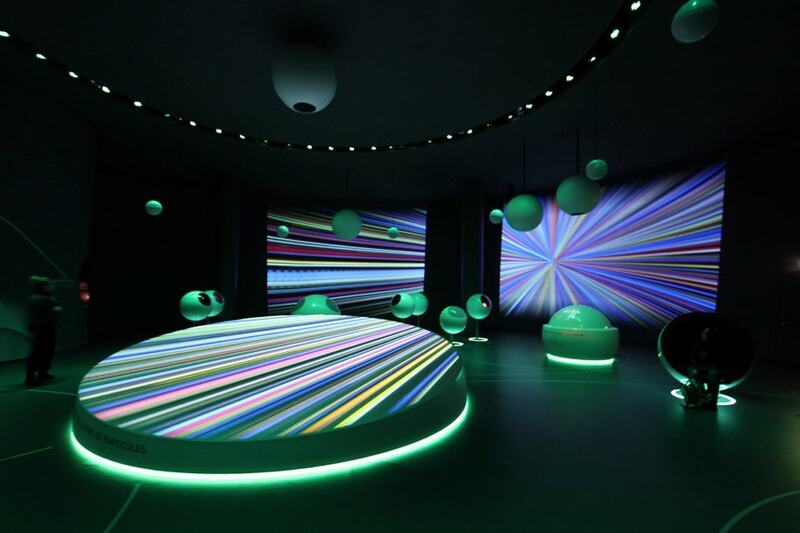 By the means of interactive exhibits and videos, the exhibition depicts a number of physics-related subjects, such as the origin of the universe, the standard model of particle physics, the string theory, the Higgs boson, cosmic rays, and so on. 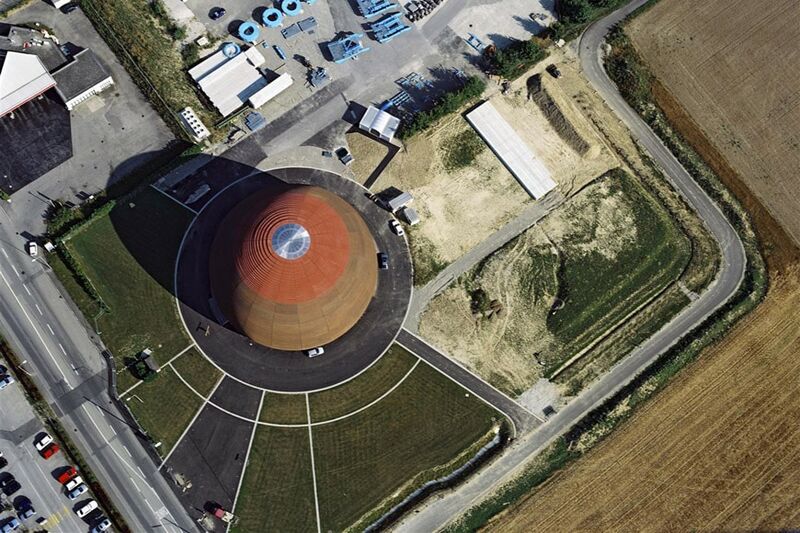 On the upper floor, the pavilion accommodates a 250-seat multimedia auditorium for conferences, seminars, workshops, and temporary exhibitions, all promoted and organized by CERN. 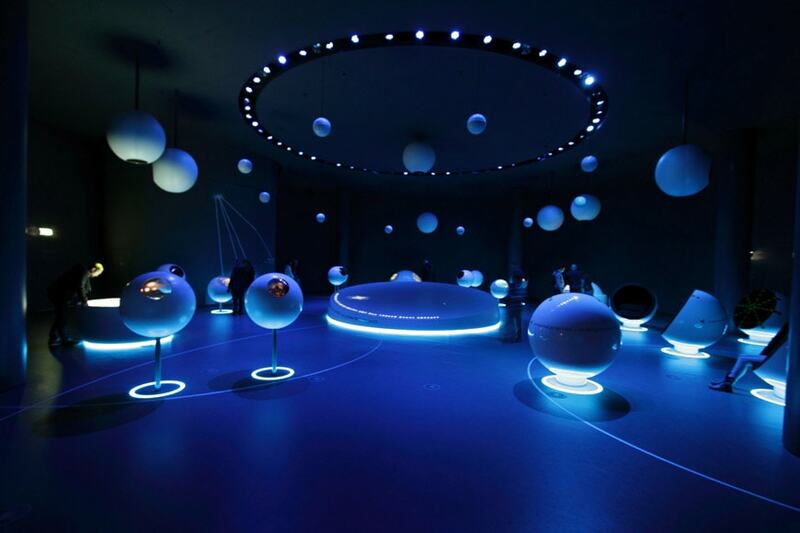 A second permanent exhibition, called Microcosm and mainly focused on the institution research activities, is located in the CERN main building. A monumental sculpture by American artist Gayle Hermick, entitled “Wandering the Immeasurable” and consisting of two stainless steel entwined ribbons, is installed in front of the Globe pavilion. The “Universe of Particles” permanent exhibition, installation view; photos Graeme Taylor.